I am interested in antennas & propagation, applied signal processing, and instrumentation. 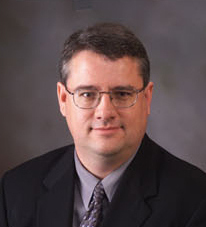 My work on instrumentation includes antennas, RF electronics, digital signal processing, and software for systems with unusual or extreme requirements. I also work on various aspects of mobile radio communications. I am active in radio astronomy, most recently in the development of meter- and cm-wavelength observing systems and their application in cosmology, pulsars, and astrophysical transients. I advise students in the "Electromagnetics" and "Communications" areas of our department. A complete list is available here. Below are some highlights. R.H. Tillman, S.W. Ellingson, and J. Brendler, "Practical Limits in the Sensitivity-Linearity Trade off for Radio Telescope Front Ends in the HF and VHF-low Bands" (2016), J. Astronomical Instrumentation, Vol. 5, No. 2, 1650004, 15 pp. open access. S.W. Ellingson, G.B. Taylor, J. Craig, J. Hartman, J. Dowell, C.N. Wolfe, plus 7 others, "The LWA1 Radio Telescope", IEEE Trans. Ant. & Prop., Vol. 61, No. 5, May 2013, pp. 2540-9. Preprint Version. S.M.S. Hasan & S.W. Ellingson, "Integration of Simple Antennas to Multiband Receivers using a Novel Multiplexer Design Methodology", IEEE Trans. Ant. & Prop., Vol. 60, No. 3, March 2012, pp. 1550-6. Preprint Version. S.W. Ellingson, "Sensitivity of Antenna Arrays for Long-Wavelength Radio Astronomy", IEEE Trans. Antennas and Propagation, Vol. 59, No. 6, June 2011, pp. 1855-1863. Preprint Version. K.W. Hurst and S.W. 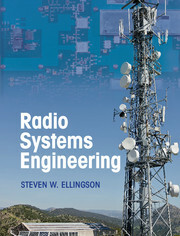 Ellingson, "Path Loss from a Transmitter Inside an Aircraft Cabin to an Exterior Fuselage-Mounted Antenna", IEEE Trans. 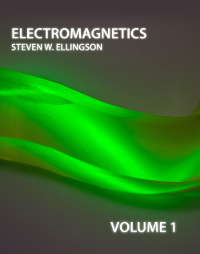 Electromagnetic Compatibility, Vol. 50, No. 3, August 2008, pp. 504-512. S.W. Ellingson and M. Harun, "Lateral Position Dependence of MIMO Capacity in a Hallway at 2.4 GHz," IEEE Trans. Antennas and Propagation, Vol. 56, No. 2, February 2008, pp. 515-523. S.W. Ellingson, G.A. Hampson, and R.K. Childers, "Argus: An L-Band All-Sky Astronomical Surveillance System", IEEE Trans. Antennas & Propagation, Vol. 56, No. 2, February 2008, pp. 294-302. S.W. Ellingson and J.T. Johnson, "A Polarimetric Survey of Radio Frequency Interference in C- and X-Bands in the Continental United States using WindSat Radiometry", IEEE Trans. Geoscience and Remote Sensing, Vol. 44, No. 3, March 2006, pp. 540-8. S.W. Ellingson and G.A. Hampson, "Mitigation of Radar Interference in L-Band Radio Astronomy", Astrophysical Journal Supplement Series, 147(1):167-176 (July 2003). S.W. Ellingson, J. Bunton, and J.F. Bell, "Removal of the GLONASS C/A Signal from OH Spectral Line Observations Using a Parametric Modelling Technique", Astrophysical Journal Supplement Series, Vol. 135, No. 1, pp. 87-93 (July 2001).